Morgan James Fiction, 9781683506638, 238pp. Family, Food, and Fortitude. 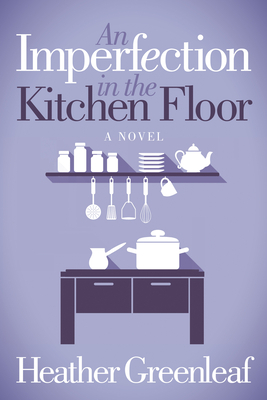 With the unexpected news of her pregnancy, Molly's suddenly responsible husband Corey persuades her to leave her job as a sous chef in a bustling Washington DC restaurant, and move to an old fashioned, run down house in small town Pennsylvania. Stuck with a colicky newborn and a husband who loves the creaky steps, old d cor, and even the broken tiles in the kitchen, Molly finds herself trapped in a life that only Corey wants--but is too busy working to enjoy. A century earlier, the same house was home to adventurous Tish, the middle daughter of the Hess family, who yearns to leave the family delicatessen behind to travel west and paint sweeping mountain landscapes. When Tish meets Ellis, a wanderer from California, their romance carries them through World War I, but cannot survive his return to civilian life and a train crash that claims the life of many aboard. Tied by tragedy to the delicatessen, Tish must forfeit everything for her family. After so much sacrifice, how can two women living a hundred years apart find happiness in the present, while living a life they would never choose for themselves?